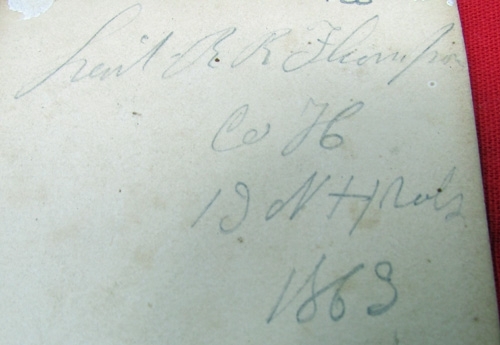 Item #47267 : Original era manufacture. 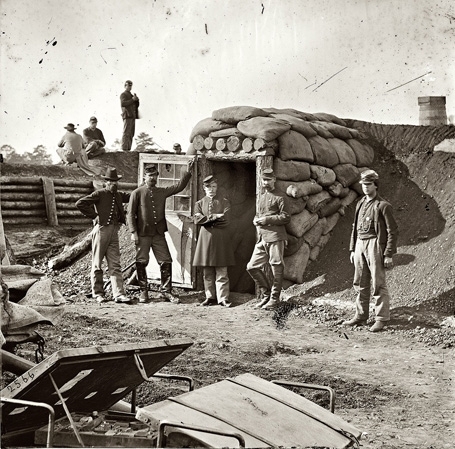 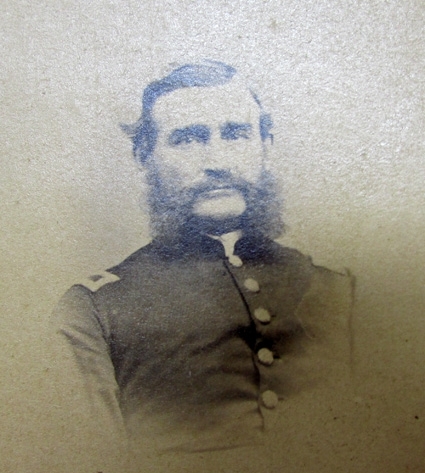 A sepia tone image of 1st Lieutenant Robert R. Thompson, 13th New Hampshire Infantry; who was killed in action during operations involved in the taking of the Confederate Fort Harrison, part of the Richmond defenses, on 29 September 1864.Robert Thompson enlisted in the 13th New Hampshire in September 1862 as a Sergeant, promoted to 2nd Lieutenant in June of 1863, severely wounded at Drewry's Bluff in May of 1864; and promoted to 1st Lieutenant in July 1864.The period image in our photo description shows Union troops inside Fort Harrison after it's capture. 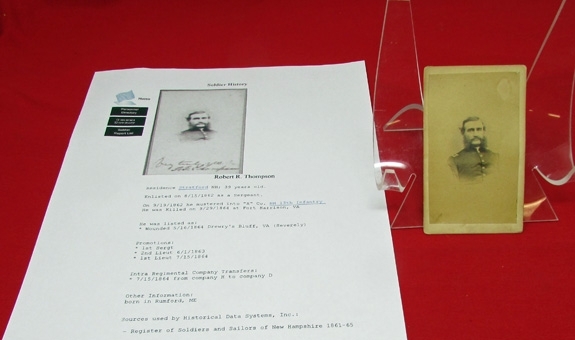 The price includes Lt. Thompson's CDV, and a print-out of a Historical Data System's page on him showing a similar CDV and details of his service.